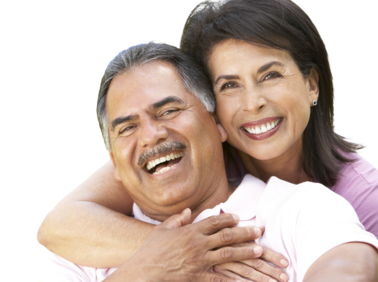 Regain your confidence and rebuild your smile with restorative treatments. Cosmetic dentistry treatments can help you look and feel your best. This simple, affordable treatment can help you achieve a dazzling smile in just one visit. A smile makeover can dramatically enhance your smile and improve your confidence. Beautiful customized crowns and bridges fit seamlessly into your smile. If you are experiencing pain or discomfort, Dr. Raymond Best offers walk-in examinations. Protect yourself again harmful oral conditions with preventive care. Periodontal care is an essential part of maintaining your smile's healthy, strong foundation. Dental care is an important part of your family’s overall health, and choosing the right dentist can make all the difference. 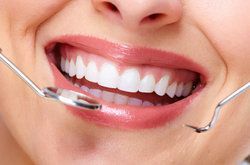 You need an experienced, compassionate dentist who can preserve your long-term oral health, address dental emergencies, perform restorative work, and enhance the natural beauty of your smile. With 30 years of family dentistry experience emphasizing patient comfort and comprehensive care, Dr. Raymond Cruz Best is the dentist to see in Rio Grande City. To schedule an appointment with Dr. Best, contact our office today. Dr. Best and our staff provide gentle pediatric care and take the time to educate our younger patients on good oral hygiene habits. Our office provides the latest in modern dental technology to enhance patient safety, comfort, and education. Advanced digital x-rays minimize exposure to radiation, and our intraoral camera provides a dentist’s view of the teeth and gums on the exam room computer screen so we can better inform patients about their condition. Dr. Best is the only local dentist who keeps a full-time dental hygienist on staff, so we are able to provide more convenient scheduling options for cleaning appointments. In addition, it is always our policy to schedule same-day emergency appointments in the case of trauma to a tooth, a broken dental appliance, or other urgent situation. We answer our phone 24 hours a day, and emergency walk-ins are accommodated, whenever possible, with immediate care. In addition to comprehensive general dentistry services, Dr. Best provides a range of cosmetic and restorative procedures, including traditional dentures, dental crowns and bridges, and dental implant-supported restorations. Cosmetic treatments include teeth whitening, porcelain veneers, laser gum reshaping, and a comprehensive, individualized smile makeover. Dr. Best also offers nearly painless root canal therapy and periodontal care, as well as preventative dental maintenance services to keep your smile strong and healthy. Our friendly staff will work with you to accommodate your busy schedule and provide convenient appointments for the entire family. A variety of insurance plans are accepted by our office, including Medicaid. Experience the best in dental care. Contact Dr. Best's office today! For more than 30 years, Dr. Raymond Cruz Best has been changing lives one smile at a time. With a focus on family dentistry, Dr. Best and his team are committed to providing comprehensive care and customized treatment plans to patients of all ages throughout Rio Grande City.